Eugene Hughes (Gene) and his thirteen brothers and sisters were raised by their mother and grandmother in inner-city Washington, D.C., where Gene quickly learned the basics of survival on the streets. 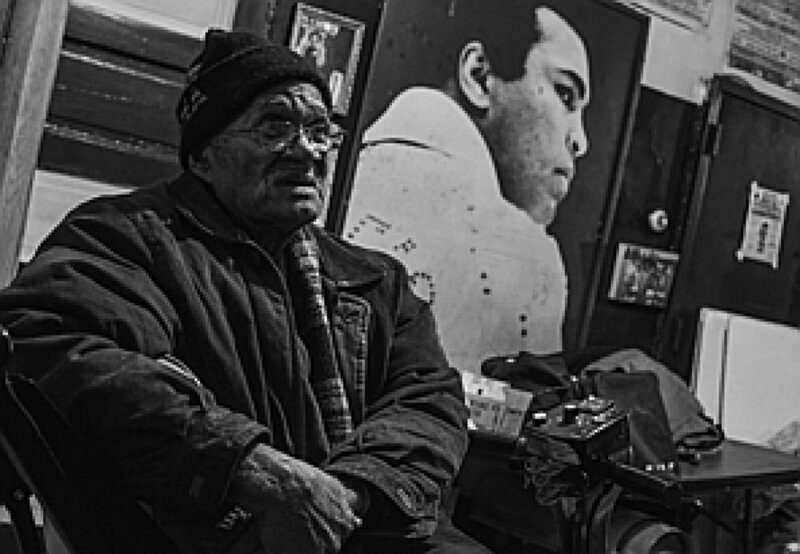 Growing up, Gene found himself constantly in trouble; he was heading toward a life of drifting and drugs, when a mentor, “Sonny Boy West,” convinced him to channel that youthful energy into boxing. Gene went on to become the Diamond Belt Champion (before African Americans were allowed to participate in the Golden Gloves) in 1951, 1952, and 1953. In 1954, Gene deservingly won the Golden Gloves Championships. 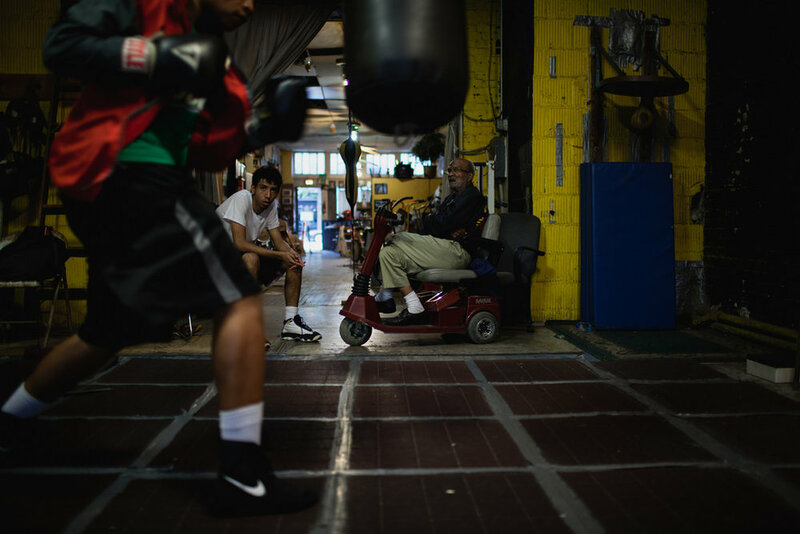 After his boxing career, Gene became a successful trainer, but he never forgot his community, always combining boxing with youth mentoring and drug counseling. In 1966, Gene worked with Mayor Stokes in Cleveland, Ohio to create an effective community action, jobs, and drug rehabilitation program. He was personally aware of the patterns that start young people on the wrong path, and lead to a life of drug addiction and criminal behavior. Gene believed the key to breaking these patterns that had been repeated throughout generations was to develop self-discipline by providing goal oriented activities. In 1972, Mr. Hughes returned to Washington, D.C. and founded, what is now known as the Midtown Youth Academy (MYA). For over 40 years MYA has been providing inner-city youth with a safe haven; offering such programs as an after-school and summer enrichment camp for kids ages 6 to 18, as well as a boxing gym for both youth and adults. In addition to helping a countless numbers of youth, MYA has also actively participated in community events targeting crime reduction, education awareness, and community revitalization. Midtown Youth Academy has also produced World Champion boxers such as Lisa “Too Fierce” Foster and Toni Keese. For his continued dedication, and commitment to community service, Mr. Eugene Hughes, has been recognized and awarded several honors, to include: The Washingtonian of the Year (1989), entrance into the Washington DC Boxing Hall of Fame (1995), Achievement Against the Odds Award (1996), Seven Salutes Seven Who Care (1997), Black History Achievement Award (1999, 2007), The Boxing All Star Trainer of the Year Award (2001), All Star Volunteer Award (National Points of Light Foundation) (2003), Mayor’s Community Service Award (2003), Humanitarian Award (2006), Amateur Boxing Outstanding Achievement Award (2007), Good Will Award (2007), Outstanding Boxing Coach Award (2007), The Ethiopian-African American Award (2008), Amateur Boxing Recognition Award (2011, 2012), Lifetime Commitment to Youth Award (2013), USA Boxing Award (2012-2015), Honored for Perseverance (2015). Mr. Hughes has realized his dream of “breaking the pattern,” by leaving a legacy of “champions” whom he has molded, and who are now giving back to the next generation all of the life-lessons they received, thus breaking the cycle of drugs and crime through education, self-discipline, and positive goal building.